A fine gold hematite bracelet with handmade flowers. Size of the bracelet 19 cm plus 3 cm extension. 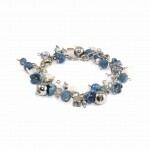 There is a possibility to adjust the length of the bracelet at the request of the buyer. 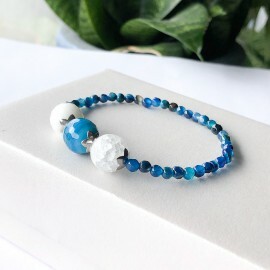 Bracelet navy blue and turquoise with stones size 12 mm agate, opal and crystal and small faceted 5 mm navy blue turquoise agate. It looks very nice on the hand. 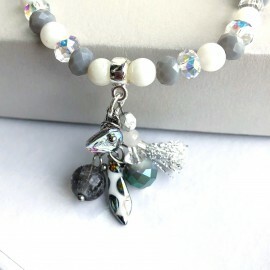 Bracelet with crystals in gray and white. Small glass beads and mother of pearl size 4 mm. 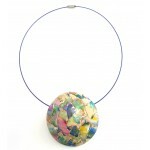 The addition of the bracelet is a pendant with beads and a tiny tassel made of silver thread. The whole mounted on a jewelry elastic. The bracelet is very comfortable in putting on and carrying. It fits the size of the wrist up to 18 cm. You decide what you want to have the color of the bracelet. You choose the size of flowers. 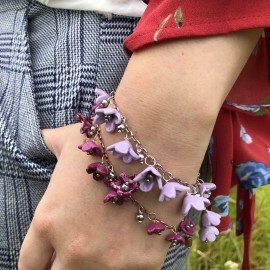 This bracelet is a design for the summer and more. 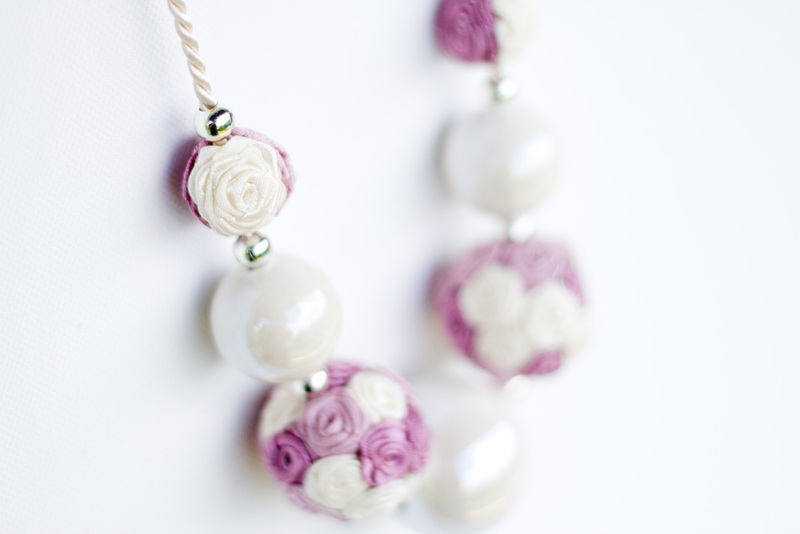 A dozen hand-made polymer flowers in your favorite color. It's all created for you. If you are already determined, I invite you to contact me. Bracelet with various beads: crystals, acrylic on silver leather strap. Stainless steel magnetic clasp. Hand size up to 17,5 cm. 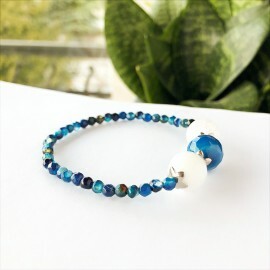 Toho crystal bracelet and beads from 2 to 4 mm. 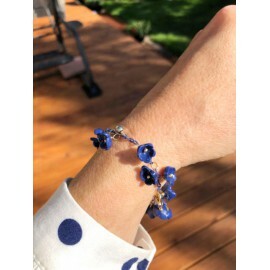 The crystals strung on the memory wire make this bracelet very easy to put on. 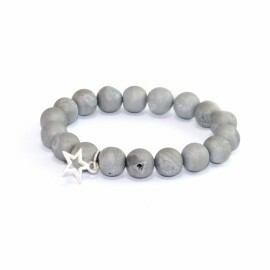 Agate bracelet with silver star, stones 10 mm. The size of the bracelet will be suitable for wrist circumference up to 17.0 cm. 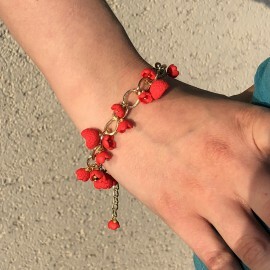 Bracelet with amaranth of red jasper stones. Beads of 10,0 mm. 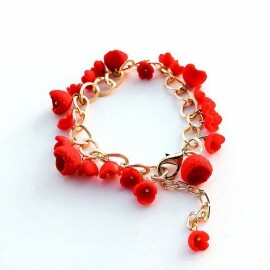 The size of the bracelet will be suitable for wrist circumference up to 17,0 cm. 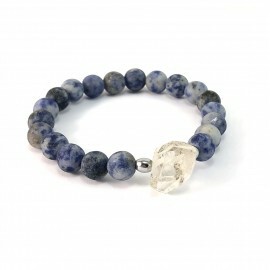 Bracelet with stones: matt sodalite and rock crystal. 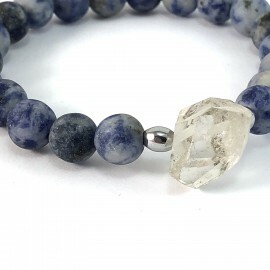 Sodalite size - 8 mm beads. The bracelet is on the wrist with dimensions up to 17 cm.